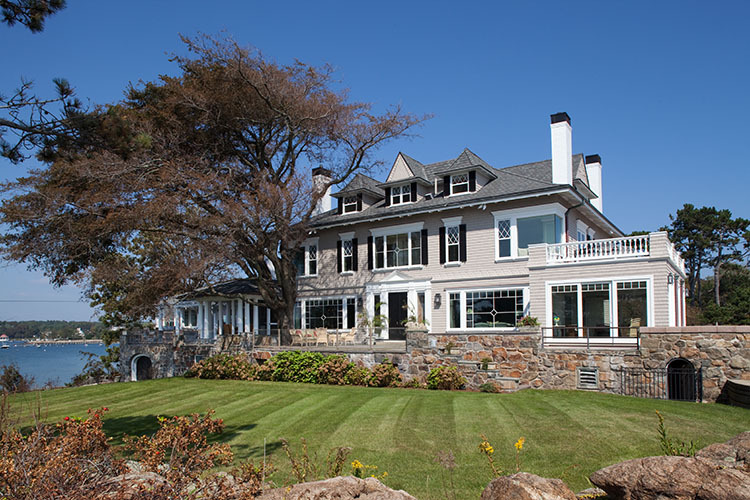 This expansive coastal estate was built in the early 1900s as a summer home for a family living in Boston. Then the 1990s, an addition was built on the original home that did not do justice to the character and quality of the original home. 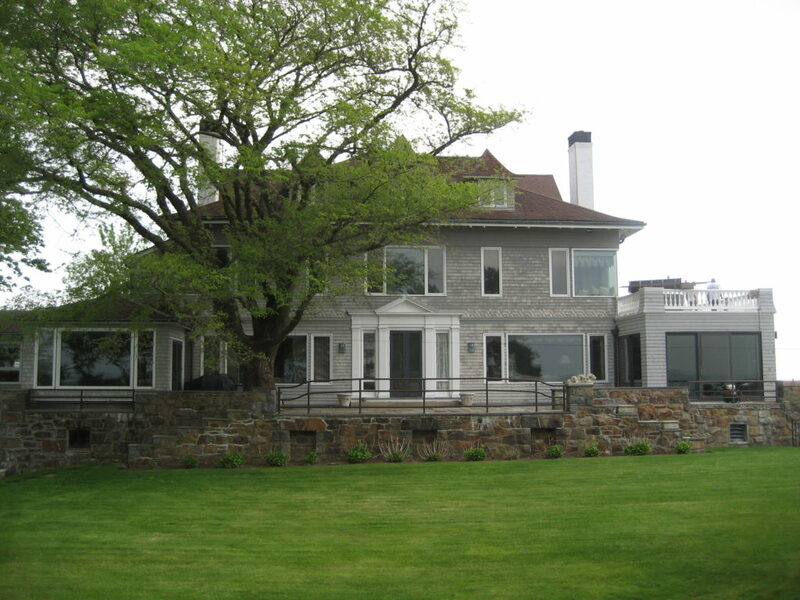 When TMS Architects was brought on for an extensive interior and exterior renovation, our goal was to preserve the charm of the original exterior of the early 1900s portion of the home. We added windows, shutters, roofing, siding, all new trim, stone veneer, new deck, patio and poolscape, extensive landscape, cupola, stone arches and an entry canopy. 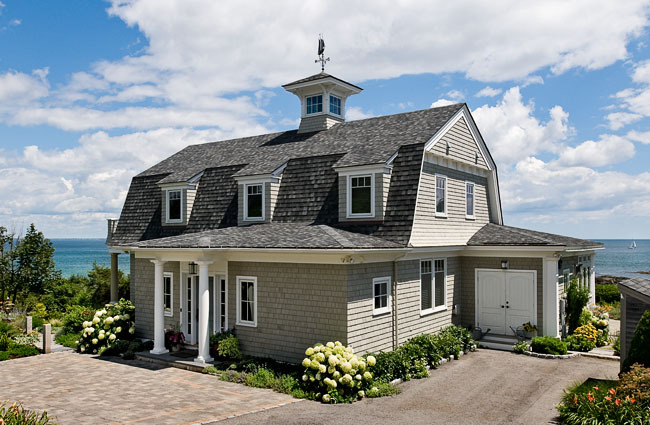 Today, it’s a coastal dream home, merging traditional details and modern features beautifully. This carriage house is located on an estate that was designed renowned landscape designer Fredrick Law Olmstead in the late 1800s — a truly special location for a design buff! 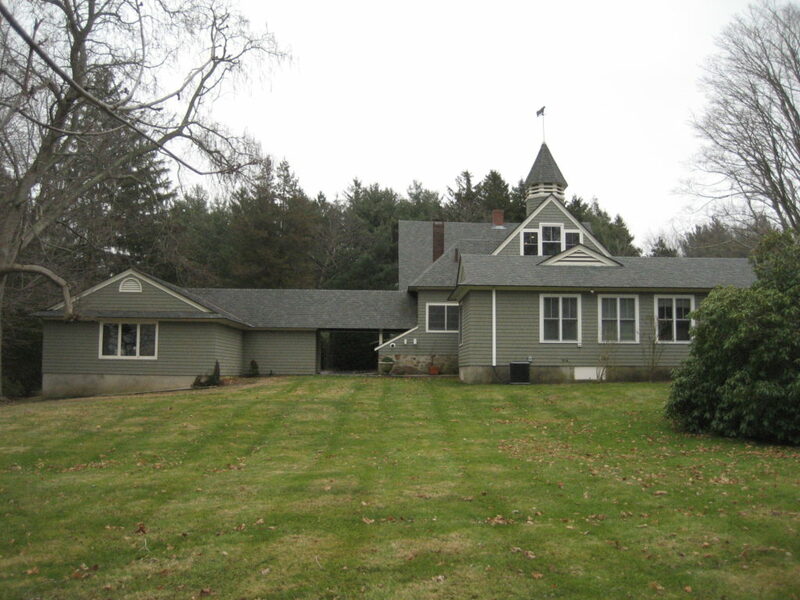 However, additions were added to the rear in the 1950s and 1970s that were not well connected to the core of the existing historical portion of the home. Our intent was to maintain the shingle “style” nature of the existing house as well as some features that were unique to the carriage house. 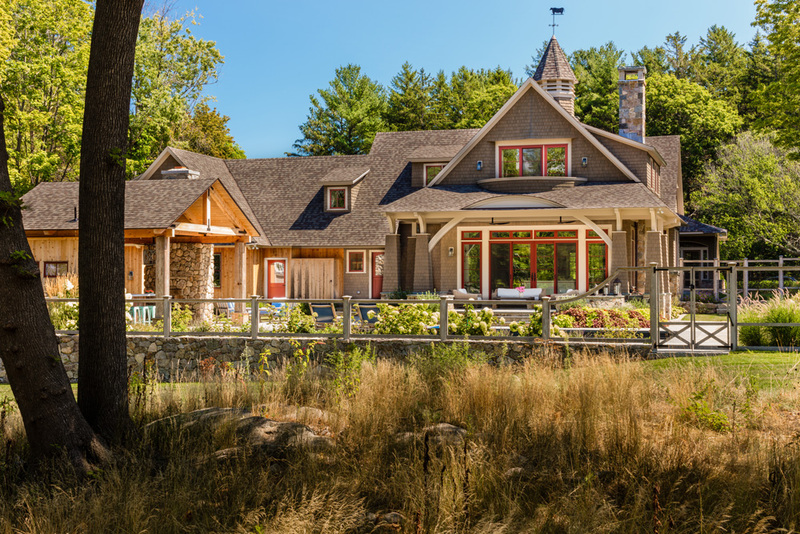 We added tapered shingle columns, cranberry windows, shingle flared gable ends, and a timber framed pool house to capture that classic aesthetic. We were also able to restore the original cupola and use it on the newly renovated home. 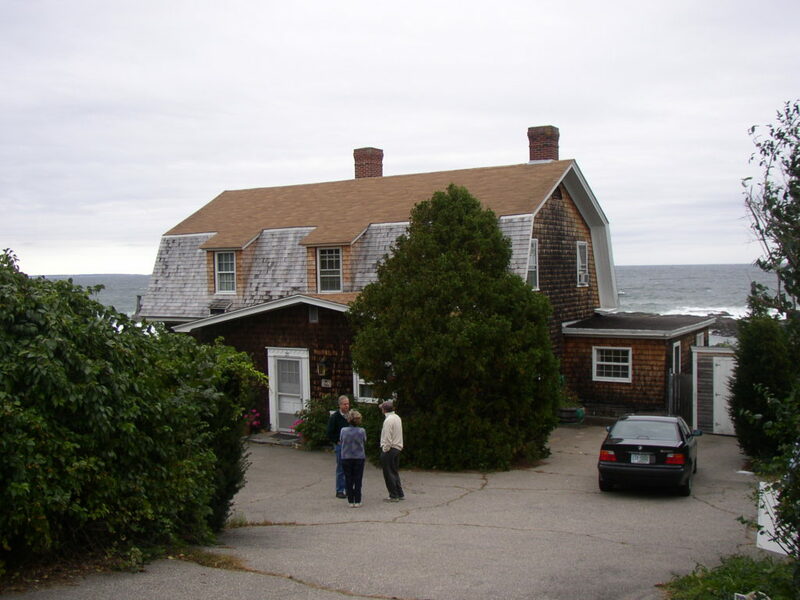 While this home’s location on Maine’s coast is unbeatable, years of proximity to the ocean and neglect left it in rough shape. A stone and rubble foundation allowed water under the house, and the interior spaces were small and unwelcoming. To add to the challenge, the house was not permitted to be razed due to local zoning regulations. Instead, we had to get creative to transform this seaside home. We lifted the house so a new full waterproof foundation and first floor structure was added. We also stripped and replaced the entire exterior. Inside, we gutted the house to create a more open and inviting layout and maximize the beautiful ocean view. We’re fortunate to have two “before” photos of this historic North Shore home so we can show you the complete transformation! Originally built in the 1890s, this coastal Victorian estate was a vacation home for a prominent Boston family. 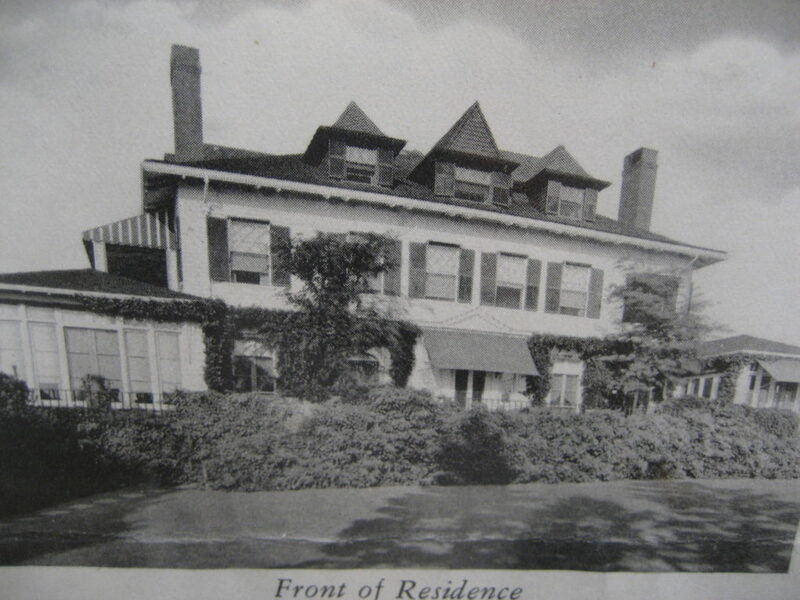 In the 1920s, an addition was added for staff quarters, which then evolved into the day to day living space. Though the addition saw plenty of use, it became dated, worn and disconnected from the grand 1890s side of the house. Our task was to merge the two spaces into one cohesive design, while maintaining the character of the existing detailing. We added a brand new terrace made of local quarry stone to enhance the outdoor living areas, and installed several windows and glass doors to maximize the ocean views. A diamond pattern on the windows and new shutters add personality, while staying true to the home’s original style. We hope you enjoyed these transformations, and we’ll share more in the near future! Exterior renovations always present an exciting challenge, especially when difficult worksites or historic features are involved. We have extensive experience with these unique projects, and thoroughly enjoy transforming a home so it perfectly fits our clients’ needs. If you’re considering a complete home renovation, contact us today to get started.